Home » Drama » Start your ovens! 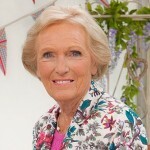 ‘The Great British Baking Show’ set for July 1 return to PBS! 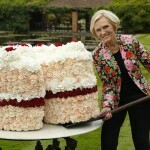 The UK’s ultimate baking battle, The Great British Bake-Off, is back on PBS in America beginning July 1! Once again for 2016, armed with it’s official U.S. title for PBS, Planet Earth’s favorite baking show, The Great British Baking Show, returns for a new series beginning Friday, July 1 at 9p ET/8p CT. The series features cookery writer Mary Berry and professional baker Paul Hollywood as judges along with series hosts Mel Giedroyc and Sue Perkins as they search amongst 12 contestants for one who will, ultimately be crowned the UK’s Best Amateur Baker. Mrs. Patmore and Daisy would be so proud! The competition escalates each week as the bakers tackle a different baking skill which become progressively more difficult as the competition unfolds. The British comedy writing duo of Perkins and Giedroyc bring a much-needed dash of naughtiness to the kitchen, as they tease and encourage the bakers while serving as comedic foils to judges, Berry and Hollywood. Produced by Love Productions as The Great British Bake-Off in the UK, The Great British Baking Show is a perfect fit for PBS, who since the early days of Julia Child, has provided cooking and food shows that are both entertaining and educational. The Great British Baking Show returns Friday, July 1 at 9:00pET / 8:00pCT on PBS. 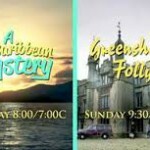 Check local listings in your area. 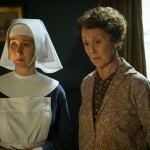 Mrs. Hudson trades 221b Baker Street address for Nonnatus House in ‘Call the Midwife’….just for a bit!